History is like a bloodstain that keeps on showing on the wall, no matter how many new owners take possession, no matter how many times we paint over it. Today’s lesson has far too much of that bloodstain. To ignore it or to not give it a detailed explanation would be a disservice to those who were the innocent victims. I cannot and will not paint over any of it. And we begin with this. 1873– Approximately 150 black men were murdered by white Southern Democrats on Easter Sunday in Colfax, Louisiana. 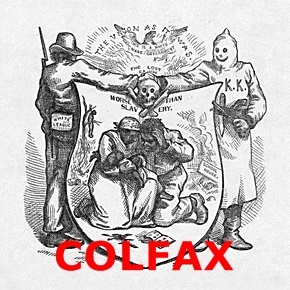 The bloodiest single instance of racial carnage in the Reconstruction era, the Colfax riot was an example of the lengths to which some opponents of Reconstruction would go to regain their accustomed authority. Among blacks, the incident was long remembered as proof that in any large confrontation, they stood at a fatal disadvantage. In the wake of the contested 1872 election for governor of Louisiana and local offices, a group of white Democrats – many of whom claimed allegiance to the “White League”, a supremacist organization similar to the KKK – overpowered Republican freedmen and state militia (also black) occupying the Grant Parish courthouse in Colfax. Armed with a cannon, the whites began shooting and killing the unarmed blacks, then fired at the black militia, who repeated fire through the courthouse windows. 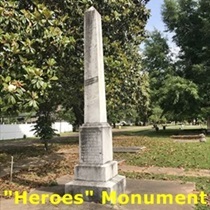 The white vigilantes torched the courthouse, and several militia men burned in the fire; Most of the blacks were shot or butchered after they surrendered and their bodies were thrown into the river or dumped in a mass grave. Ninety-eight members of the white mob were indicted. One man was acquitted while a mistrial was declared in the cases of the others. In the next trial, three men were found guilty of sixteen charges. However, the presiding judge, Joseph Bradley, dismissed the convictions, ruling that the federal law they were charged under was unconstitutional. When the federal government appealed the case, it was heard by the U.S. Supreme Court. That court ruled that the Enforcement Act of 1870 (which was based on the Bill of Rights and 14th Amendment) applied only to actions committed by the state and that it did not apply to actions committed by individuals or private conspiracies. So while the Federal government could not prosecute cases such as the Colfax killings, states could. Louisiana chose not prosecute any of the perpetrators of the Colfax riot. 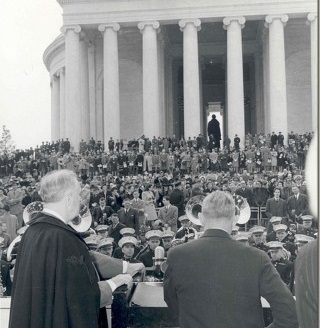 1943– The Jefferson Memorial was officially dedicated by President Franklin Roosevelt on the 200th anniversary of Jefferson’s birthday. At that time, the statue had not yet been finished. Due to material shortages during World War II, the statue that was installed at the time was a plaster cast painted to look like bronze. The finished bronze statue was installed in 1947. 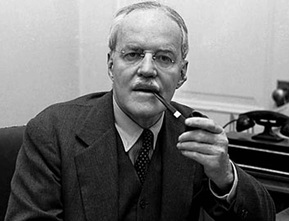 1953– CIA director Allen Dulles launched the mind-control program Project MKUltra, a mind control program of experiments on human subjects. Experiments on humans – often conducted without the subjects’ knowledge or consent – were intended to identify and develop drugs and procedures to be used in interrogations in order to weaken the individual and force confessions through mind control. Its aim was to develop mind-controlling drugs for use against the Soviet bloc in response to alleged Soviet, Chinese, and North Korean use of mind control techniques on U.S. prisoners of war during the Korean War. The CIA wanted to use similar methods on their own captives, and they were interested in being able to manipulate foreign leaders with such techniques. The program was not officially halted until 1973. 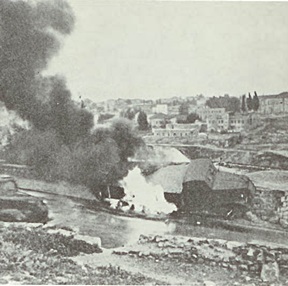 1948– A 10-vehicle convoy bringing medical and military supplies and personnel to Hadassah Hospital on Mount Scopus in North Jerusalem, was ambushed by Arab forces in Sheikh Jarrah, a predominantly Palestinian neighborhood in East Jerusalem. In the attack, 78 Jewish doctors, nurses, students, patients, and faculty members were killed by gunfire or were burnt when their vehicles were set on fire by Arabs. 1964– Sidney Poitier became the first African American to win the Academy Award for Best Actor for his role as a construction worker who helped build a chapel in Lilies of The Field. 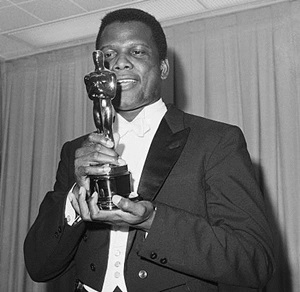 With his historic Oscar win, Poitier became only the second African American to win an Academy Award. The first was Hattie McDaniel, who won in the Best Supporting Actress category in 1939 for Gone With The Wind. 1970– Disaster struck 200,000 miles from Earth when oxygen tank No. 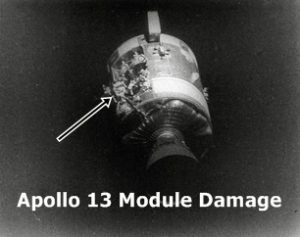 2 blew up on Apollo 13, the third manned lunar landing mission. Astronauts James A. Lovell, John L. Swigert, and Fred W. Haise had left Earth two days before for the Fra Mauro highlands of the moon but were forced to turn their attention to simply making it home alive. Approximately six and a half minutes after the end of a live TV broadcast from the spacecraft, Houston flight controllers asked Swigert to turn on the hydrogen and oxygen tank stirring fans in the Service Module. Two minutes later, the astronauts heard a “pretty large bang,” accompanied by fluctuations in electrical power. What supposedly happened next (“Houston, we have a problem”) has been a nice myth, but a myth nonetheless. The crippled spacecraft continued to the moon, circled it, and began a long, cold journey back to Earth. The astronauts and mission control were faced with enormous logistical problems in stabilizing the spacecraft and its air supply, and providing enough energy to the damaged fuel cells to allow successful reentry into Earth’s atmosphere. Navigation was another problem, and the spacecraft’s course was repeatedly corrected with dramatic and untested maneuvers. On April 17, with the world anxiously watching, tragedy turned to triumph as the Apollo 13 astronauts touched down safely in the Pacific Ocean. With those words – after forty-seven years of denials – the Soviet government officially accepted blame for the Katyn Massacre of World War II, when nearly 22,000 victims – including 5,000 Polish military officers – were murdered and buried in the Katyn Forest in Smolensky, Russia. THE BACKGROUND: In April 1940, Soviet leader Joseph Stalin ordered the prisoners to be taken into the forest. The Poles were marched into the woods – the officers still wearing their uniforms – many, as seen in the photo above – with their hands tied behind their backs, and shot in the back of the neck. They were buried in several mass graves. 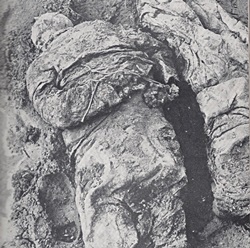 In 1943, German troops reported the discovery of the graves. Although Germany was initially blamed for the killings, they claimed the Soviets were responsible. SHAMEFUL FACTOIDS: Representatives from the Polish government-in-exile (situated in London) visited the site and decided that the Soviets, not the Nazis, were responsible. These representatives, however, were pressured by U.S. and British officials to keep their report secret for the time being, since they did not want to risk a diplomatic rupture with the Soviets. In 1944, President Franklin Roosevelt assigned Navy Lieutenant Commander George Earle, to produce a report on Katyn. Earle concluded the massacre was committed by the Soviet Union. Roosevelt rejected the conclusion (officially), declared he was convinced of Nazi Germany’s responsibility, and ordered that Earle’s report be suppressed. When Earle requested permission to publish his findings, the President issued a written order to desist. Earle was reassigned and spent the rest of the war in American Samoa. In 1945, Col. John H. Van Vliet submitted a report concluding the Soviets were responsible for the massacre. His superior, Major General Clayton Lawrence Bissell, General George Marshall’s assistant chief of staff for intelligence, destroyed the report. During the 1951–52 Congressional investigation into Katyn, Bissell defended his action before the United States Congress, arguing it was not in the U.S. interest to antagonize an ally (the USSR) whose assistance the nation needed against the Empire of Japan. Those who died at Katyn included an admiral, two generals, 24 colonels, 79 lieutenant colonels, and 7 chaplains. Also among the dead were 20 university professors; 300 physicians, and more than 100 writers and journalists. In all, the NKVD Secret Police (forerunner of the KGB) eliminated almost half the Polish officer corps – part of Stalin’s long-range effort to prevent the resurgence of an independent Poland. 1975– Actor Larry Parks died of a heart attack at the age of 60. 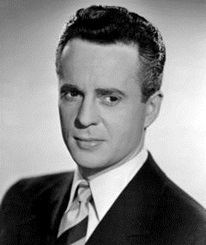 His career saw him rise from a bit player in supporting roles all the way to top billing (as Al Jolson in The Jolson Story and Jolson Sings Again. That meteoric rise virtually ended when he admitted to having once been a member of a Communist Party cell, which led to his blacklisting by all Hollywood studios. 1997– Bryant William Bowles died of congestive heart failure at the age of 77. 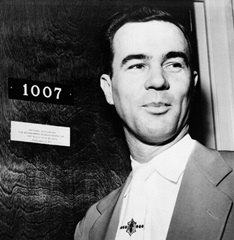 Bowles, a white supremacist bitterly opposed to racial integration of public schools, founded the National Association for the Advancement of White People after the U.S. Supreme Court ruled in 1954 that racially segregated public schools were unconstitutional. He briefly attracted nationwide attention for leading a pro-segregation boycott of Milford High School in Delaware. The ensuing unrest, which included cross burnings, contributed to desegregation in some parts of Delaware being delayed for another ten years. 1997– At the age of 21, Tiger Woods became the youngest person to win the Masters Tournament at Augusta National. He did it at an event that did not invite a black player to play until the year he was born – and at a club that didn’t invite a black person to join until 1990. Woods finished at 18 under par, twelve strokes ahead of runner-up Tom Kite. It was – and still is – the widest margin of victory in Masters history. 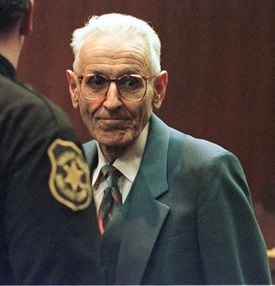 1999– A Michigan jury found Dr. Jack Kevorkian guilty of second-degree homicide for administering a controlled substance (a lethal injection to Thomas Youk who was in the final stages of Lou Gehrig’s disease). Kevorkian had allowed the airing of a videotape he made on September 17, 1998, which depicted the voluntary euthanasia of Youk. Kevorkian was denied parole repeatedly until 2007. He died in 2011. 2005– Johnnie Johnson died at the age of 80 from a kidney ailment and pneumonia. Johnson spent twenty years playing piano with Chuck Berry’s band but the public wasn’t aware he was doing a hell of a lot more than just playing on Berry’s recordings. He actually co-wrote many of them … but was never credited. In 2000, at the urging of Rolling Stones guitarist Keith Richards – Johnson sued Berry for credits and royalties on more than fifty Berry songs (including Wee Wee Hours, Maybellene, Nadine, Brown-Eyed Handsome Man, Roll Over Beethoven, Almost Grown and You Never Can Tell), but a federal judge dismissed the case, saying too much time had passed since the songs were written and recorded. Johnson maintained his argument with Berry was not about money but recognition for his contributions. 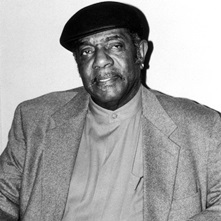 In 2001, he finally received the credit he deserved when after a long campaign spearheaded by Keith Richards, Johnson was inducted into the Rock and Roll Hall of Fame in the Sideman category. 2017– The U.S. dropped the largest ever non-nuclear weapon in its arsenal on Nangarhar Province, Afghanistan. 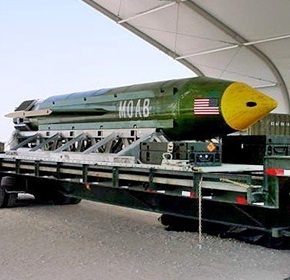 The GBU-43/B Massive Ordnance Air Blast (MOAB), a 22,000 pound, GPS-guided bomb, was launched with the goal of destroying tunnel complexes used by the Islamic State of Iraq and the Levant – Khorasan Province, a branch of the Syria-based ISIS. One senior Afghan security official claimed the bombing killed 96 Islamic State militants – 13 of them major commanders – but the actual (verifiable) results are not known.